The Lipofirm Plus Ultrasound Cavitation can be performed on the stomach, buttocks, back, calves, knees, thighs, arms, back and chin. The course of treatment can only be undertaken on one body area at a time. The procedure takes approximately 30 – 40 minutes dependent on the size of area being treated. To see maximum results a course of 8 treatments is recommended per body area. The treatments should be undertaken at 10 day intervals. This will vary from person to person depending on your size and amount of localized fat and the area being treated. We have experienced inch loss as much as 10 inches in the abdominal area. The normal cost per treatment is £100.00 however we do recommend to receive the full effects that the client completes a full course of 8 treatments. We are currently offering £200 off a course of treatments. A course of 8 Lipofirm Plus treatments on either the face or body is normally £800.00 and is now offered at only £600. What is Impulse Light Technology and how does it work? Intense Pulse Light (or IPL) technology is a high-intensity flash of filtered light. The applicator head is placed on the skin and bursts of light are emitted into the skin. The hair absorbs the light and passes it to the surrounding cells, whilst converting the light into a temperature of 70+°C. The heat denatures the cells which prevents the hair from growing again. Very fair hair contains less melanin; however the system can be programmed to take this into consideration. Dark hairs are easiest to treat as they contain the highest levels of melanin. This means they provide the highest absorption and consequently the largest amount of light conversion into heat. What about Asian or dark skin? Dark-skinned individuals need to have lower settings as the skin will absorb the excess heat causing more pain. The IPL software is designed to make allowances for different hair and pigment type. Tanning should be avoided for up to one month before the treatment. After the treatment the skin tends to be more sensitive to UV light therefore strong sunlight and sun beds should be avoided for 4-5 days. How long should the hair be for the treatment? Hairs should be just growing through so follicles can be identified so the area that is being treated can be easily identified. Long hairs should be trimmed so that the maximum amount of energy reaches the hair root. Can I shave, bleach or pluck before the treatment? If after shaving the hair can still be seen then you can shave up to 3 days before the treatment. It is strongly recommended that bleaching and plucking should not be carried out within 4 weeks prior to the treatment. All other forms of epilation including waxing should be avoided for at least 4 weeks before the treatment to ensure as many follicles as possible contain hair. Depending on which area is being treated the treatment can take 5 minutes for an upper lip to up to 45 minutes for a full leg and bikini. The light treatment will only work on hair follicles which are actively growing at the time of treatment. At any one moment 20% of hairs are resting or dormant. The hair grows in cycles; this is known as anagen (growing), catagen (resting) and telegen (dying). In order for the treatment to be effective the hairs must be at the anagen stage. Most people find that between 10 and 12 treatments are usually needed to clear an area of hair. Most patients experience no side effects however there are certain risks associated with IPL and they include but are not limited to redness, localised swelling and mild tenderness. Although rare, adverse effects such as light burns, blister and bruising may occur. On occasion IPL treatment may cause temporary pigmentation changes to the skin. Excessive heat should be avoided for at least 48 hours and exposure to the sun must be avoided for 30 days before and after treatment. A sun block of SPF 30+ must be used on the exposed skin areas otherwise it is possible that blotchy skin pigmentation, hyper or hypo-pigmentation may occur. Why do hairs “grow” after treatment? IPL technology does not remove the hair immediately after treatment like other light depilation treatments. The heat destroys the hair roots but the hairs remain in the skin and will start to fall out after 1 to 3 weeks as the epidermis renews itself. During this time it will seem that the hairs are growing a little faster as the epidermis pushes them out. Some people will experience their hair changing colour to charcoal black and expanding in size. Other indications are a red ring around each follicle appearing a couple of minutes after the treatment. Not everyone will see these indications however the end results speak for themselves. Most authorities agree that using IPL technology permanent hair loss is possible although some people require annual top up treatments. Pre-pay for a complete course of 6 treatments and receive 6 treatments for the price of 5. The most advanced non-surgical anti-ageing facial providing exceptional improvement in facial muscle tone and skin tightening. What is the Caci & RF Combo and how does it work? First all the 32 facial muscles are exercised and manipulated in depth using our specialised Caci machine to enable the muscles regain tone and vitality. Radiofrequency (RF) is then used to generate heat which causes local contraction of the collagen fibres. This immediately tightens the skin to re-model and rejuvenate the previous effects of ageing. It heats the dermis (the deepest skin layer) through a hand piece without damaging the epidermis (the top layers of the skin), to stimulate new collagen growth and provide an improvement in skin laxity and appearance, to remodel and enhance dermal density with minimal risks. Results are visible after the very first treatment. Try the mirror test and you’ll see the difference. This procedure is usually performed on clients in their 30s – 50s. It is not suitable for clients with electrical devices such as pace makers, metal implants or artificial metal joints. Book a course of 5 treatments and receive a 6th treatment absolutely FREE. The normal cost per treatment is £50.00 however we do recommend to receive the full effects that a client completes a full course of 10 treatments for the special offer price of £375.00. To maintain the results a monthly top up treatment is recommended. Cellulite develops when fat cells swell due to excess fatty tissue which causes a build up of fluids. When this happens the lymphatic drainage system is unable to release the stored fluid, toxins and fat which restricts blood flow. The fat cells then begin to cluster together and become fused with collagen fibres or connective tissues, those strands of connective tissue harden and drag on to their anchor points. The restricted blood flow, lack of lymphatic drainage, stiff connective tissues and fat all converge to form cellulite. The three main factors that contribute to cellulite are hormones, lifestyle and age. Whilst diet and exercise can impact on some areas affected by cellulite, many parts of the body remain immune. Because of the way cellulite is formed, the treatment we provide can create spectacular results. Utilising Ultrasonic Cavitation to accurately target the cellulite we first destroy the fat cells in the problem areas. This is followed by advanced Radio Frequency skin tightening which stimulates the lymphatic system and also stimulates collagen growth. The resultant smoothing of the skin over a period of 8 treatments can be truly amazing. This is all achieved with NO NEEDLES, NO PAIN, NO EXERCISE and NO DOWN TIME and it’s 100% SAFE as we use one of the very few clinically proven medical equipment of it’s type in the UK. Your future is written all over your face. How you care for your skin today has a lot to do with what it will look like in several years. As Dermalogica skin care therapists, we are expertly trained to restore your skin to its optimum health, ensuring that it will look it’s best. Our innovative techniques and cutting-edge formulations deliver maximum results in a minimum of time… and for years to come. Immediate solution to your most pressing skin issues. Choose from – blackhead relief, skin soother, flash exfoliation, lip renewal, hand repair, rapid spot clearing, moisture surge & eye rescue. This supreme lip conditioning treatment smooths away flaky, damaged skin that can result from lip make-up and the environment. By infusing firming peptides and repairing vitamins into the perioral area, it restores the delicate lip tissue back to optimum health while shooting fine feather lines and erasing the signs of aging. Revitalise and energise while fighting visible signs of aging with this restorative treatment. See immediate results when the skin is intensely exfoliated and treated with Dermalogica AGE Smart products that pack the skin with nutrients and peptides to fortify, protect and restore skin back to its healthiest state. Help hard working hands recover from dryness, ragged cuticles and signs of aging with this intensely nourishing hand treatment. Maximum strength exfoliation helps to reveal more evenly-toned skin while moisture rich botanicals coupled with a warm paraffin dip provide instant dry skin relief. Rehydrate and replenish dry, uncomfortably tight, thirsty skin. This deeply penetrating moisture surge treatment lifts away dulling skin debris to reveal plump new cells and help soften surface lines. Discover a revived, dewy, fresh face in a snap. This treatment is perfect for tired and travel weary skin! Want that super clean skin feeling? This deep cleansing, purifying treatment helps clear away blackheads, stubborn bumps and under surface congestion, banishing any future breakouts while delivery clean, clear, smooth skin. Shaving challenges and skin woes getting you down? This rapid treatment cleans deep, repairs and calms while tackling all your shave-related skin issues. Get skin and shaving tips together with great looking skin in just a snap. Get a handle on skin that acts up at the most inconvenient times! This purifying treatment is designed to solve breakout-related skin issues right away. Powerful ingredients target breakout-causing bacteria and treat breakouts on the spot while soothing botanicals reduce reduce redness and protect skin. Professional techniques including blackhead extraction help decongest and deep clean for a clear, radiant complexion. What is Microdermabrasion good for treating? Reducing and smoothing fine lines & wrinkles, producing a smoother, more rejuvenated skin. Microdermabrasion is mechanical exfoliation, performed by passing a hand held device that uses a highly controlled flow of fine, medical grade crystals over the skin. These crystals, delivered at high velocity onto the skin surface are immediately vacuumed away, taking the top-most layer of dead skin cells with it. This skin exfoliating process improves the tone and texture of the skin and reveals the newer, more vibrant skin that lies below. Once these dead and damaged skin cells are removed, your skin will immediately feel and look smoother, fresher, healthier and more youthful. Diminishes the appearance of fine lines and wrinkles, enlarged pores, and coarse textured skin. Makes it easy for high-tech skin care products to actually penetrate into the deeper layers of the skin and help build collagen, which gives skin its youthful appearance. Sensitive skin, skin that easily reddens, or skin with acne breakouts. Clients who have been taking Roaccutane in the last 6 months. Anyone suffering from active herpes lesions. Clients with active rosacea or weeping acne. You’ll see the difference even after just one treatment; however for more problematic skin concerns a course may be recommended. With regular treatments, the skin increases its collagen and elastin formation, to give you a naturally firmer and more rejuvenated look. What’s more, the gentle vacuum action gives the facial muscles a mini ‘workout’ each time, providing an immediate lifting effect and an ongoing improvement in tone and texture. How do I treat my skin after the treatment? A qualified doctor from Promedika Ltd.
Why does skin sag and wrinkle as we get older? The answer lies in what’s happening under the skin, the underlying fat and collagen cells are progressively reducing overtime so we look to counter what you have lost with dermal fillers. Dermal fillers are the most popular anti-ageing treatments for wrinkles and facial lines, in particular forehead lines, crows’ feet, frown furrows and nose to mouth grooves. They are also used to volumise lips & enhance sunken cheeks. What are the fillers made of? We use today’s most trusted and effective dermal fillers from worldwide renowned brands including the Juvederm range from Allergan. Juvederm is a long lasting gel that once injected into the skin with an ultra-fine needle lifts and adds volume to the areas being treated. Similar to one of the body’s own natural substances (hyaluronic acid), it is a completely safe treatment. The hyaluronic acid in Juvederm simply supplements the body’s age depleted hyaluronic acid to plump up the lip or to raise the skin and ‘fill in’ the particular wrinkle being treated and has three major benefits; It is obtained by biosynthesis, It is of non-animal origin and the molecule is highly biocompatible. It does not require any prior testing. Unlike other fillers Juvederm Ultra is not granular; this means that it is able to flow easily into the skin. This results in a smooth natural appearance. Juvederm Ultra also contains lidocaine, a local anaesthetic which helps make the treatment process comfortable. Juvederm is available in different formulas. The Juvederm Ultra 2 is used for filling fine lines and fine wrinkles. When injected into the superficial dermis, the fluid version, Juvederm 2, fills fine wrinkles such as crow’s feet or peri-oral wrinkles or any area which is close to the surface of the skin. The Juvederm Ultra 3 is used for forehead wrinkles and moderate furrows. When injected into the middle dermis, the dense version, Juvederm 3, effectively fills forehead wrinkles, glabellar lines, obvious mild to moderate nasal furrows and cheek wrinkles. The Juvederm Ultra 4 is used for Shaping of Lips, deep folds and cheeks. When injected into the deep dermis, the densest version, Juvederm 4, fills deep naso-genian folds, returns volume to your lips, sculptures your cheeks and gives your face its natural oval shape again. Whilst treatment with dermal filler can effectively correct lines, wrinkles and folds in your skin, it cannot replace lost volume. For this you need a specially developed volumising treatment that can not only restore shape to areas like your cheeks & chin but also offers results which are smooth & long lasting. Juverderm Voluma is a clinically proven volumising treatment which is carefully injected to replenish lost volume & bring back a fuller, smoother, healthy appearance. The results can be seen within 30 minutes & last for up to 18 months. As time goes by lips naturally tend to become drier & loose volume which brings about a thinner appearance & a loss of definition. The fact that the skin of our lips is much thinner than in other areas means that the effects can be apparent earlier. Juvederm Ultra Smile is a smooth flowing gel, which restores volume, enhances the contours & redefines the outline of your lips. The bio-active Lipolift body wrap is a highly effective slimming and body contouring treatment. The treatment can be provided as an individual wrap however for maximum results we recommend combining the wrap with ultrasonic cavitation. It works by breaking down fat cells and aiding the body in transporting released triglycerides through the body’s natural waste processes allowing the contents of the fat cell to be naturally eliminated from the body. It improves improve cellulite, firms and tones. Results are visible from your first treatment! A course of 5 treatments are recommended to enhance the skin tightening and toning effect. Firstly we undertake ultrasonic cavitation using a hand piece that is placed on the skin precisely on the area to be treated. The machine uses ultrasounds that form bubbles in the tissues where the fat cells are located. The bubbles implode due to the changes in pressure. The process results in triglycerides (released fat) to break up into diglycerides (liquid) and ultimately released from the body in urine. 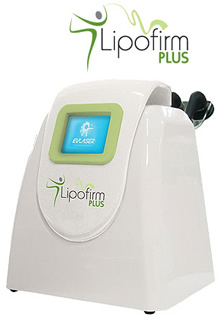 The Lipolift gel / cream is applied topically and contains a unique formula containing an active ingredient belonging to the phospholipids family. We then we cover the area with a biofilm, which allows the products to penetrate into the skin and accelerate the results. You will see results at your first from treatment; this will vary from person to person depending on your size and amount of localised fat. We have experienced inch loss as much as 10 inches in the abdominal area. Ultrasonic cavitation and wrap £99 per treatment. Individual designed for the perfect massage. We will restore your sense of wellbeing with customised combinations of deep tissue, acupressure & Swedish reflexology. Revitalising and energising body treatment. Exfoliation, specialised aromatherapy and pressure point massage. Wrap, acupressure scalp massage leaving your mind and body relaxed, regenerated & renewed. Utilises a unique fabric stamp filled with skin-benefiting ingredients and the power of heat that detoxify, re-mineralise, de-stress, exfoliate and relax. Deep manipulations along pressure points to rebalance the body. It combines massage with the use of essential oils blended to suit your needs. Focusing on the back, the ultimate massage remedy to everyday stress. Uses smooth heated and stones. The treatment is both deeply relaxing and helps tight muscles relax. An acupressure scalp massage will improve circulation increasing blood and oxygen supply to the scalp, reducing stress and mental fatigue. Deep cleansing, removes excess oils and debris, followed by exfoliation and stress relieving back massage with customised masque leaving your skin radiant. Spray Tan Using Naturasun products this spray tan is available in a choice of 7 tan colours. Eyelash Extensions Lasting up to 3 months with a great natural look. Ear Piercing Absolutely safe and sterile, including assorted styles of earrings. Electrolysis Permanent hair removal using sterile disposable needles. Waxing Your skin will look & stay smooth for weeks at a time. Semi Permanent cosmetics are the future! This service is provided by Liz using Nouveau Cosmetics and has specialised in semi permanent make-up since 1997. It will give you a natural finish, creating long lasting looks to enhance your natural beauty. Imagine the luxury of always waking up to beautifully shaped lips, defined eyes and perfect eyebrows. Whatever your lifestyle, whether for beauty or medical reasons, semi–permanent make up is the solution to looking good and feeling great. It is an exciting procedure, in which carefully applied permanent pigment is placed into the dermal layer of the skin. A patch test is required before the procedure is undertaken. It will last for several years but how long depends on a combination of your skin type, exposure to the sun and life style. A top up is recommended every 12-18 months. Is it safe and what is in the pigment? The pigment is made of a natural iron oxide. It is hypo-allergenic and there are no fragrances, emollients or other ingredients added. • Lead an active or athletic lifestyle. • Are fed up with the daily routine of applying and re-applying make-up. • Are dissatisfied with the shape of their eyebrows or the natural contour of their lips. • Want to save time due to busy daily schedules. • Suffer from allergies related to cosmetics. • Have vision problems that cause difficulty when applying make-up. • Suffer with arthritis and dexterity problems that make it difficult to apply make-up. • Have complete or partial loss of eyebrows caused by alopecia, hypothyroidism, chemotherapy treatments or other conditions. It can take 5 – 10 days to heal and during that time a slight swelling may occur and a fine dryness to the skin forms over the area treated. For the true colour to emerge it may take 4 – 6 weeks. In less than an hour, you can have stunning, waterproof and smudge proof eyeliner, lip liner, full lipstick colour or a brow hair simulation. It can be used to define eyes, brows and lips to give a soft natural finish that imitates perfectly applied make-up. This effect is achieved by using revolutionary hypo-allergenic pigments to create a shadow of colour in the dermal layer of skin. The result can be as subtle or dramatic as you wish, to create a look that enhances your natural beauty. How can it be used on eyes? Make small eyes look bigger, lashes thicker, and emphasise eye colour. Choose from a subtle, natural look, mimicking thousands of tiny lashes or a more defined eyeliner look. How can it be used on brows? Never use an eyebrow pencil again! Create a soft pencil look or textured hair strokes on sparse, short, pale brows. How can it be used on lips? Can be made fuller, lip colour enhanced and shape corrected, or our ‘lip blush’ system using soft shades to give a haze of colour across the lips, or a dramatic colour can be applied to create a more striking look. Research indicates that the reflex zones of the feet affect the levels of stress, wellness and energy in the body. Includes therapeutic mineral foot cleanse and complete reflexology massage. Includes hand massage, cuticle work, shape and polish. Chip resistant ensuring gorgeous, shiny smooth nails for up to 2 weeks. Intensive hydrating manicure with exfoliation and massage. Includes mineral foot bath, exfoliation, hard skin removal, massage and shape/polish. Includes normal pedicure with an additional multi-vitamin Dermalogica treatment. Our indulgent or pamper days are perfect for friends and families celebrating special occasions like birthdays and anniversaries or ‘girls’ days. They are ideal too if you just want to take time out to relax and enjoy some treatments. These can be offered at the Beauty Clinic or at a venue to suit you (mileage chargeable). Treat your little angels to a little pampering of their own – ideal for that special birthday party! Groups of 10 angels or less, up to 16 years old (parental consent required). No more rushing around to get to the hairdressers or beauty salon. 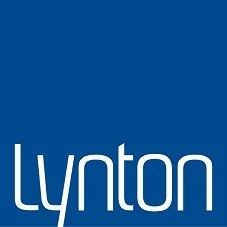 Let us come to you at your chosen venue, home or hotel, and take away those unnecessary worries. We will be able to advise and guide you from the time of your consultation to the moment you walk down the aisle. A full range of beauty treatments are available. Try a luxurious hot stone massage or an aromatherapy body massage with warm oils leaving your skin ‘satiny smooth’ and relaxed ready to slip into your wedding dress. A deluxe OPI manicure leaving your hands exquisitely soft with beautifully manicured and painted nails ready to show off your ring. Our customised thermal touch treatment for hands and arms is ideal to complement your manicured hands. 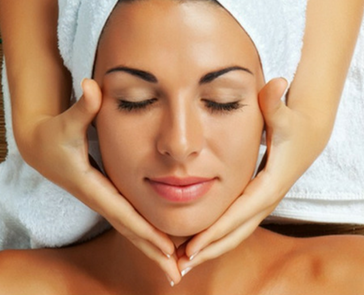 A customised Dermalogica facial is essential leaving you relaxed and your skin radiant. With all the eyes on you why not indulge yourself with a semi permanent eyelash extensions. 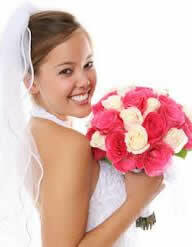 Our aim is to ensure that you can live your dream and to look and feel your best on your big day. All bridal packages are tailored to your own individual needs and are available for any member of the bridal party as well as the bride i.e. mother of the bride, bridesmaids, mother of the groom and even the groom himself. Having had your beauty treatments planned and co-ordinated it is important to remember that all eyes are on you and how you look. Your wedding make up is the finishing touch that will be captured and remembered in all your photographs taken on your special day. We use Dermalogica products as a base before using Mineral make up. A non-invasive revolutionary facial treatment that lifts and tightens the skin. As the skin matures and is exposed to environmental effects, connective tissue breaks down, causing wrinkles and other signs of ageing to develop. Our state of the art radio-frequency (RF) technology means both superficial and deep skin layers can be targeted. The treatment works by passing RH energy through the outer layers of the skin to heat underlying tissues and structures. The heat causes collagen in the lower layers to contract, thereby tightening the skin above. The heat also causes the growth of new collagen, so the benefits of radio-frequency (RF) is progressive. It is commonly used to treat the forehead, under the eyes, cheeks, mid-face, jaw line and the neck. The hand piece is slowly rotated over the target area transmitting radio waves through the upper layers of the skin to the dermis, heating the dermis to between 40 & 50 degrees Celsius without burning the skin surface. The generated heat causes local contraction of the collagen fibres, to immediately tighten the skin. By heating the dermis, new collagen production is stimulated. RF will also improve the blood and lymphatic flow. This helps with a better oxygen supply and greater toxin clearance to further reduce the effects of aging. The tightening and smoothing of skin resulting in a reduced appearance of fine lines and wrinkles. The tightening of sagging skin around the jowls and neck. Lift the eyebrows / lids. Every woman or man who would like their face to look younger or smoother without surgery is a candidate for this treatment. A person of practically any age can receive the treatment. Some clients have obvious ageing from mid 30s others do better with deeper lines and laxity not evident till the fifties. There is an advantage to starting a little younger (the forties) and planning an annual budget for maintenance. If there is an excess of sagging skin (as seen in many clients over 60), this procedure may not achieve the desired results. In such cases, a traditional mid-face, face or brow lift performed by an accredited plastic surgeon may be the more appropriate course of action. How many treatments are required and how long are they? We recommend a course of anywhere between 6 to 10 treatments (depending on the areas treated and your skins reaction to the treatment) for the most beneficial results. We also recommend a maintenance treatment approximately every 6 months after your initial treatment course to maintain the results. You will notice a subtle difference in your skin during your first treatment; however the results get better and better with every treatment. The treatment is an accumulative result, the more treatments you do the better your results will be. It is normally around the 4th treatment for the results to be more drastic. £70 per treatment. Book a course of 5 treatments for £350 and receive a 6th treatment absolutely FREE. Dermaplaning is a popular treatment that removes dead skin cells, fine hairs on the skin and any peachy areas. This in turn leaves you with brighter and smoother skin, allowing your favourite moisturisers and serums to reach the skin’s pores that we otherwise blocked and lets your makeup simply glide across your skin.